Protesters gathered at the Bell Memorial Union steps to share stories and emotions toward newly president-elect Trump. Chico State President Gayle Hutchinson also commented on the election. 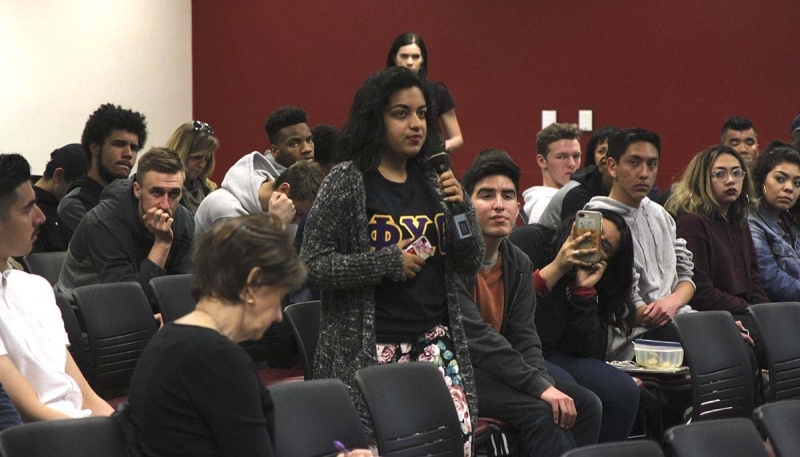 In a campus wide email, President Hutchinson reassured the Chico State community that university values diversity and strives for inclusion. 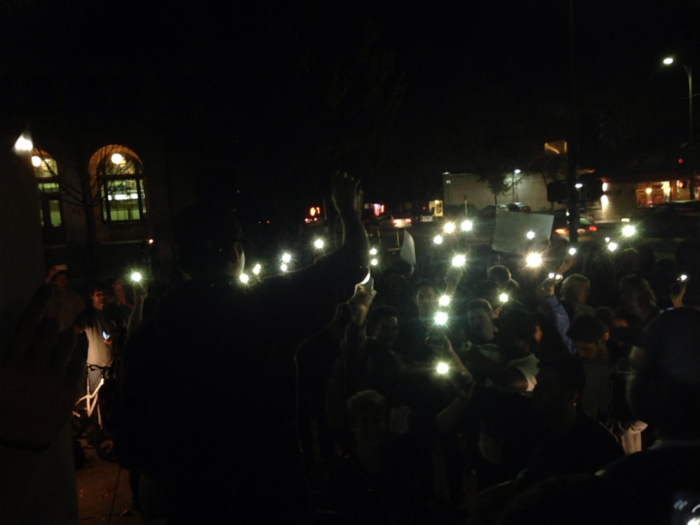 After many cheers of “Not my president” and “F— Donald Trump,” the crowd marched through campus and circled around downtown Chico. The protester stopped at city plaza to further discuss post election results and plan out future protest. Cars passing by honked in support of the protest. 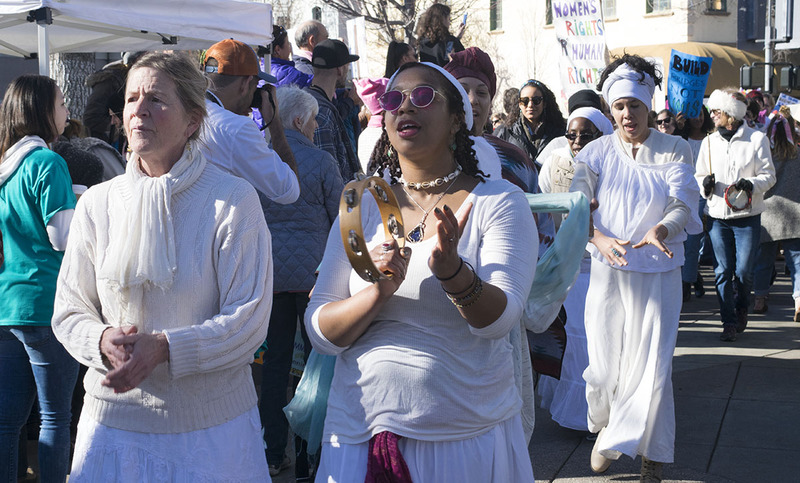 No arrests were reported by Chico Police.